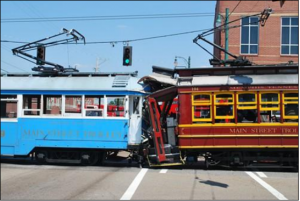 For Memphis’s three-pronged trolley system, 2015 has been a year of scrambling to pick up the pieces after fires and a critical APTA report shut it down. MATA has cut around 30% of service in recent years, with more cuts expected in the fall of 2015. These cuts often hit underserved, low-income neighborhoods of color, whose residents rely on transit for their daily needs. Nevertheless, the city’s focus seems to almost never be on them—but on fixtures of more touristy districts that they hardly use. Our research continues to reveal a two-tier transportation system–trolleys for affluent white residents, downtown developers and tourists, and a deprived, shrinking bus system for those who depend on public transit. The purpose of this report is to show that the trolleys are not a viable alternative to buses in their usage, financial sustainability, or their social effects on Memphis at large. 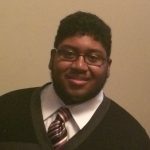 A St. Louis native, Justin Davis is a junior at Rhodes College, where he studies Creative Writing and Classical Languages. He also organizes a small college readiness class for high school students through the Refugee Empowerment Program in Binghampton. At MSP&JC, Justin primarily works with the Memphis Bus Riders Union, where combating transit inequality and looking for Bennett’s keys are all in a day’s work. When he’s not at the bus terminal or looking through spreadsheets on trolley funding, he spends his time attempting to learn Arabic, finding new genres of music to fall in love with, or working on poems.